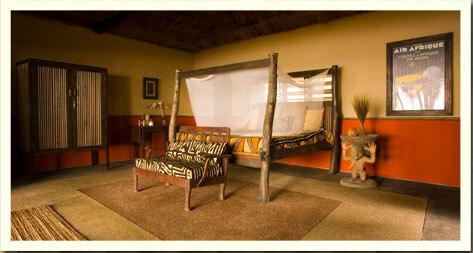 Safari Beach Lodge consists of seven individual chalets. Three beachfront suites and four double rooms. Situated under a canopy of palm trees each chalet has an ocean view and is beautifully furnished with custom furniture, colonial antiques, African art & textiles. A ceiling fan is provided in each room to enhance the cool ocean breezes. Each double room is uniquely decorated and contains a four poster double bed, large locking bureau, desk and seating area. 2 Double rooms have private shower and bath and 2 Double rooms share shower and toilet facilities. The suites are large and spacious with a private toilet, sink area and shower. Each suite contains a four poster king bed, large bureau, vanity table, seating area and two private beach lounges. A double bed can be added to accommodate families or larger groups. 2 bedroom beachfront house is beautifully appointed and suitable for 4-8 people.